WASHINGTON, D.C.—On Tuesday, June 12, Sen. Elizabeth Warren, D-Mass., and Rep. Elijah E. Cummings, D-Md., convened a forum at the U.S. Capitol to examine poverty in America. Panelists included the Rev. Dr. William J. Barber, II, co-chair of the Poor People’s Campaign, and individuals who shared their personal stories about poverty and economic injustice. Their aim, as Barber made clear in his presentation, was not to get applause, but to make the nation weep at the crisis of poverty in one of the richest countries in the world. The panel focused on the fact that close to 140 million people living in the United States are either poor or low-income and discussed what must be done to change this. Also in attendance at the forum were Sen. Patty Murray, D-Wash., Sen. Bernie Sanders, I-Vt., Sen. Cory Booker, D-N.J., Rep. Barbara Lee, D-Calif., and Rep. Joe Kennedy III, D-Mass. 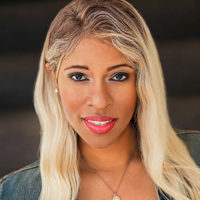 Noting that the Poor People’s Campaign is the “tip of the spear” in the fight against this economic crisis, she said, “We are here to respond to that call,” in reference to the campaign’s call for members of Congress and the government to listen to the organization’s demands. Rev. 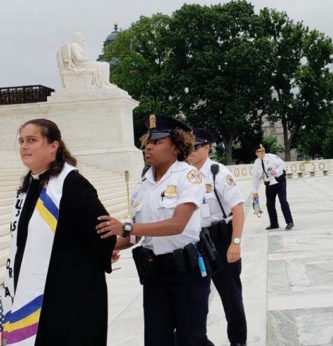 Dr. Liz Theoharis, co-chair of the Poor People’s Campaign, was set to speak at the hearing, but was detained the day before while praying on the U.S. Supreme Court steps after the Husted decision, which upheld voter suppression in Ohio. She and nine other members of the Poor People’s Campaign, including Rev. Grayland Hagler, Rev. Jimmie Hawkins, and Rev. William Lamar IV, were still in jail at the time of the forum. Other panelists gave their testimony of living in poverty. 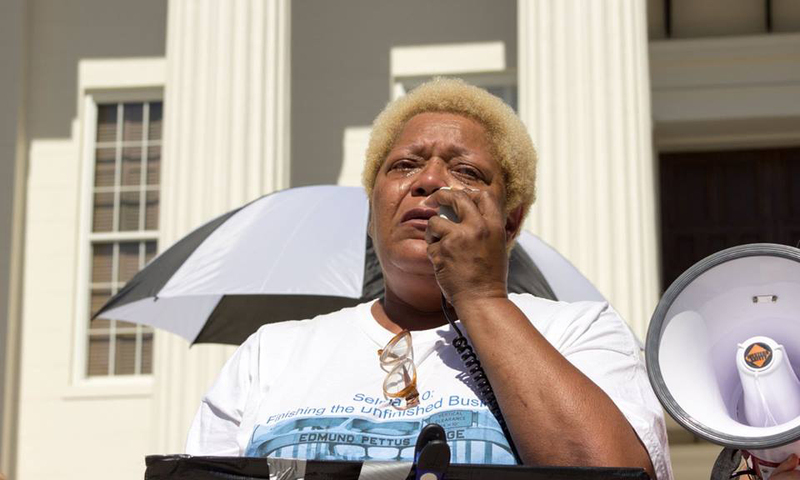 Pamela Sue Rush, a 48-year-old mother of two from Lowndes County, Alabama, explained how her mobile home does not have access to county sanitation services. Breaking down in tears during her speech, she stated how she and her daughter live in poverty because they can’t afford better. 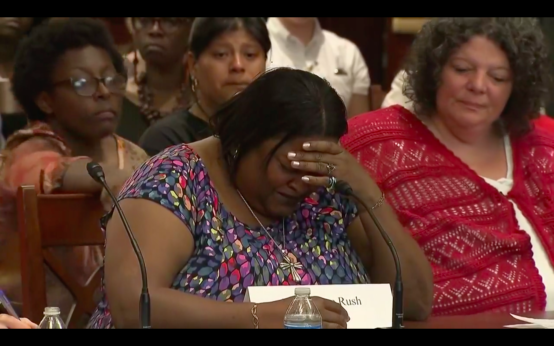 Barber also noted that Pamela was the victim of predatory lending, and because she owed over $120,000 for a loan on a house, she couldn’t afford to move to better living conditions. 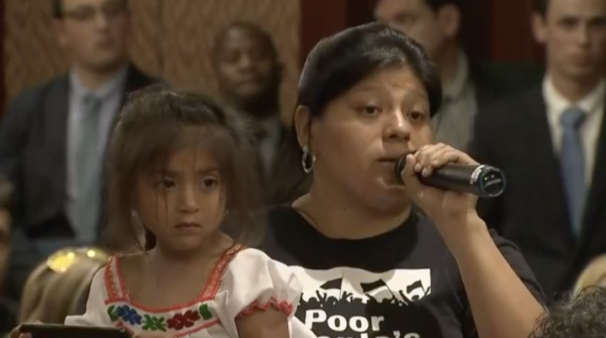 Vanessa Nosie, from the Apache Stronghold in Oak Flat, Ariz., whose sacred land was acquired by a mining company, spoke to how poverty and bad policies affect the Indigenous community. Christopher Olive, a formerly homeless, 27-year-old military veteran from Grays Harbor County, Wash., explained how there is a criminalization of the poor happening where he lives, and around the country. Amy Jo Hutchinson, a single mother, and an organizer with the West Virginia Healthy Kids and Families Coalition, noted, “We shouldn’t have to give so much of ourselves in order to have good quality of life.” Nic Smith, a Roanoke, Virginia, Waffle House worker and organizer with the Fight for $15, explained that “Coal jobs disappeared and were replaced with chronic poverty and ecological devastation.” Smith also noted that anti-union legislation, such as Right to Work, was harmful to workers. Barber explained that by government officials joining their political power with the people power of the campaign, change could happen, and that the campaign was currently working on a budget of what it would take to help those in poverty. A list of all the demands of the Poor People’s Campaign can be found here.